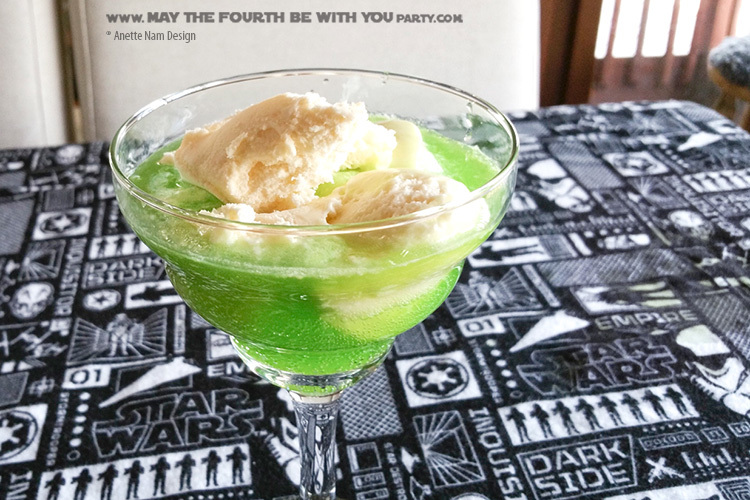 If you still have green food coloring left over after our last post, here is our encore: the dessert version of Lemonyoda. A punch with a pinch of color, a scoop of sweet, and just like the last recipe, a barrel-full of midi-chlorians. Fill glass about 3/4 with soda. Add as much ice cream you as can possibly fit. Too fast, do not drink, or a brain freeze, you will get. Once poured, let it sit for a while, for a yummy frothy treat.